A breakout writer at The New Yorker examines the fractures at the center of contemporary culture with verve, deftness, and intellectual ferocity—for readers who’ve wondered what Susan Sontag would have been like if she had brain damage from the internet. Jia Tolentino is a peerless voice of her generation, tackling the conflicts, contradictions, and sea changes that define us and our time. Now, in this dazzling collection of nine entirely original essays, written with a rare combination of give and sharpness, wit and fearlessness, she delves into the forces that warp our vision, demonstrating an unparalleled stylistic potency and critical dexterity. Trick Mirror is an enlightening, unforgettable trip through the river of self-delusion that surges just beneath the surface of our lives. This is a book about the incentives that shape us, and about how hard it is to see ourselves clearly through a culture that revolves around the self. In each essay, Tolentino writes about a cultural prism: the rise of the nightmare social internet; the advent of scamming as the definitive millennial ethos; the literary heroine’s journey from brave to blank to bitter; the punitive dream of optimization, which insists that everything, including our bodies, should become more efficient and beautiful until we die. 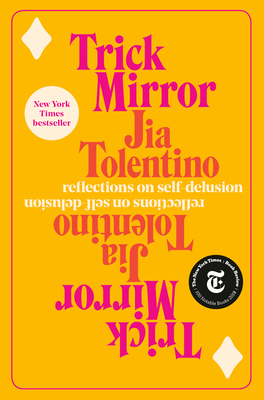 Gleaming with Tolentino’s sense of humor and capacity to elucidate the impossibly complex in an instant, and marked by her desire to treat the reader with profound honesty, Trick Mirror is an instant classic of the worst decade yet. Jia Tolentino is a staff writer at The New Yorker. 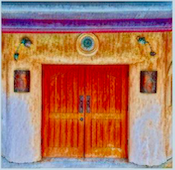 Raised in Texas, she studied at the University of Virginia before serving in Kyrgyzstan in the Peace Corps and receiving her MFA in fiction from the University of Michigan. She was a contributing editor at The Hairpin and the deputy editor at Jezebel, and her work has appeared in The New York Times, The New York Times Magazine, Time, Grantland, Slate, Pitchfork, Bon Appétit, Spin, and Fader. She lives in Brooklyn.